and in the lower case, you will find various hues of the main trend colors. The variety of shades will enrich your presentation to customers. They will help you to decide the color of your products and so forth. This box will assist creative process of your business. 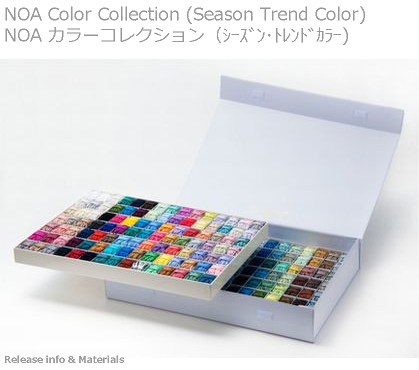 The trend colors in the upper case are divided into several themes per season. beautifully dyed string and concept description: To have with you always. 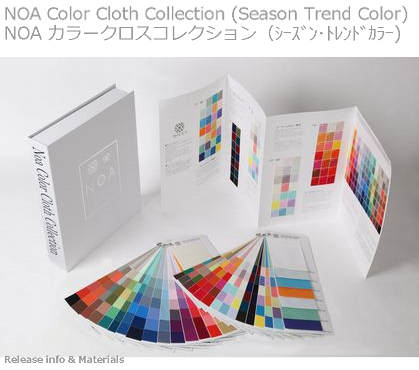 “Cloth samples “ of our trendy colors, created by NOA, are available to purchase. applied to various uses easily, in the same way as woolen or cotton yarn. even as single colors to replenish what is missing, as well as woolen yarn or cotton yarn. the office or anywhere you choose! Among standard colors, we at NOA are especially keen on the color beige. 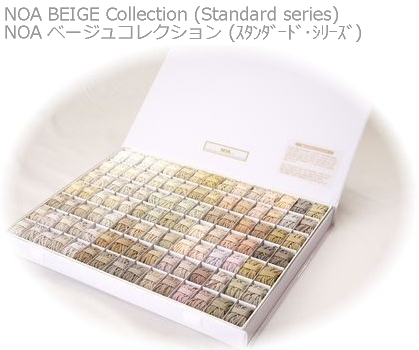 The NOA BEIGE COLLECTION is made up 105 shades from light beige to dark brown. The collection is made up of real variety, and none of the conventional shades. 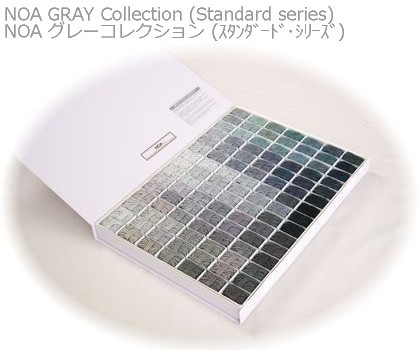 The long-awaited“ NOA gray color collection”has just been released especially for you. all these chic and cool gray tones for both men and women. 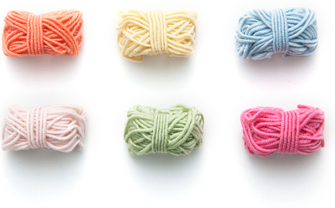 We correspond to sales of one-color skeins as after-sales support for only customers that use our color sample. It is possible for us to grasp each color by individual number management. So, you can order a shortage by only the color number easily. passing of time. Please be reminded that when you reorder.